Chinese movie star Zhou Xun receives a certificate from Hong Hao, director of the Bureau of Shanghai World Expo Coordination, as she is honored as the first Expo green-commuting ambassador. Chinese movie star Zhou Xun received a certificate yesterday from Hong Hao, director of the Bureau of Shanghai World Expo Coordination, as she was honored as the first Expo green-commuting ambassador. This green campaign is on the way, and Shanghai people are urged to use public transport or walk and ride bicycles instead of using cars and so contributing to an eco-friendly Expo from May to March, 2011. It will gradually cover the Yangtze River Delta region and then the whole nation. The campaign aims at raising local residents' awareness about energy saving and environmental protection, thus cutting emissions and curbing the impact of global warming to improve the image of the host city. 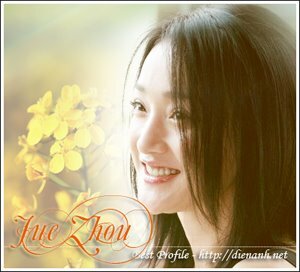 Zhou, an internationally acclaimed actress, won best actress honors at the third Asian Film Awards in Hong Kong in March for her performance in the film "The Equation of Love and Death."